Some good places to eat in Cebu are hidden from plain sight or are situated in rather peculiar corners. Aside from the fact that they are not easily found and where not many public utility vehicles ply a route, one gets to ask whether it is worth the trouble to even get there. I found myself dining in one of these curiously hidden places in late May 2016. It was an unplanned lunch date with fellow bloggers who were members of the Cebu Blogging Community. With me were Jullian, JL, and Carlo. 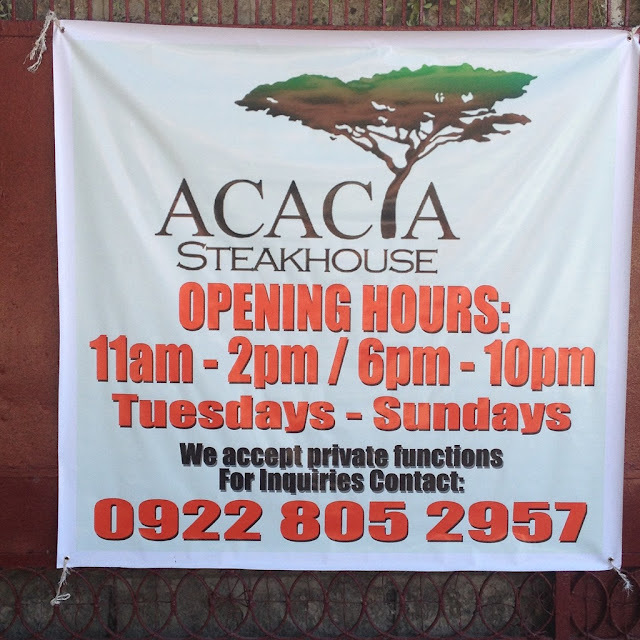 Acacia Steakhouse takes its name from the street where it is located, Acacia Street in Green Valley Subdivision, Capitol Hills, Capitol Site, Cebu City. Chef Justine Co runs the place which opens at 11 a.m. to 2 p.m. and 6 p.m. to 10 p.m. from Tuesdays to Sundays. I am used to have my squid adobo by itself. But the sauteed squid at Acacia Steakhouse doesn't just have squid in it. 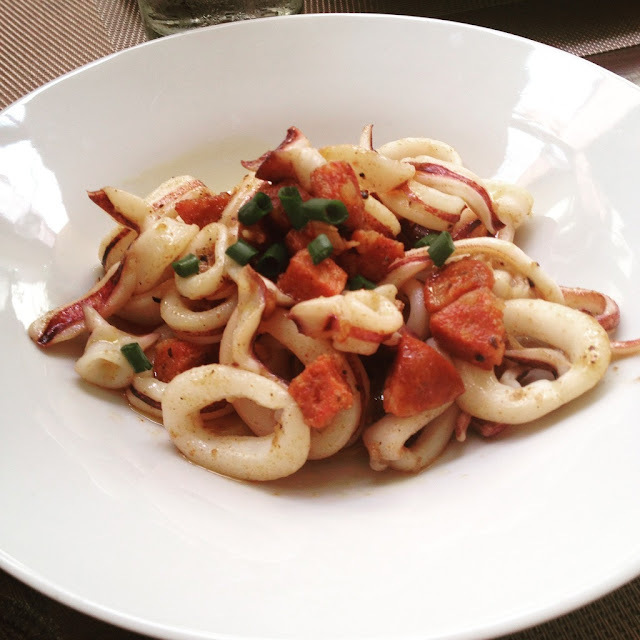 The twist is that squid is sauteed with Spanish chorizo. Quite a peculiar proposition but a surprisingly pleasant experience. A serving that is good for 3-4 persons costs PhP 190. 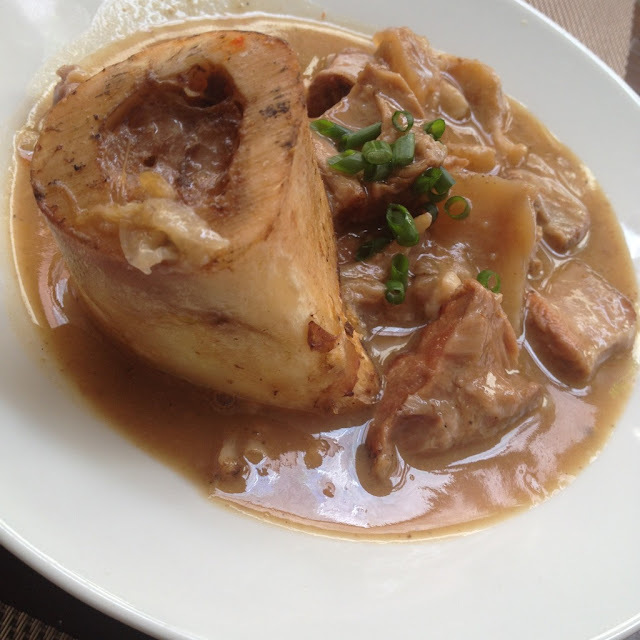 Tender braised beef that fell off the bone and served with marrow in bone and a delicious, rich, and thick sauce. A serving for 2-3 persons is sold at PhP 295. 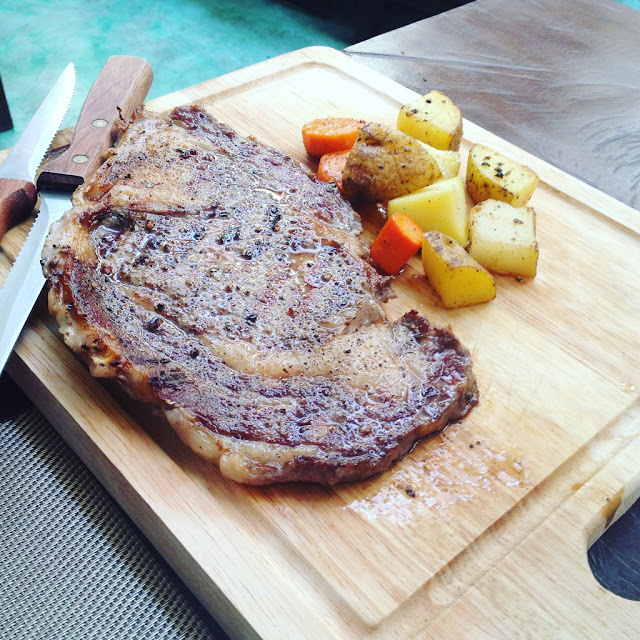 The specialty of the house is Ribeye Steak which is 100% U.S.D.A. prime beef. We had ours medium rare. It comes with pan roasted vegetables. This cost us PhP 595. Have you tried the steaks at Acacia Steakhouse? What are your thoughts about it? You may share them in the comments below.